This work which deals with the life of Zomnye (“haenyeo”, a woman diver) has won the Grand Prize in Geo Photo Contest. 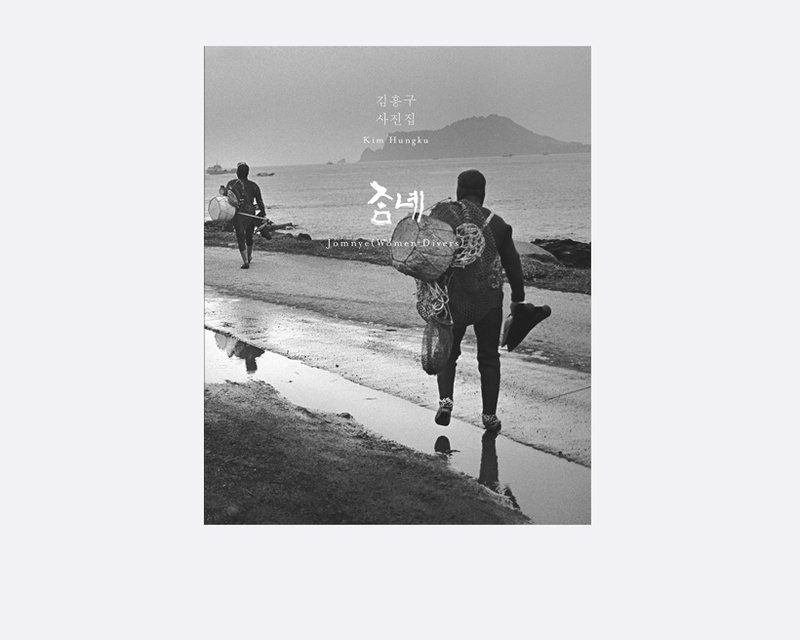 Since then, the photographer followed the traces of ‘haenyeo’ for the last 15 years as if he uttered their very ‘sumbisori’, a long whistle-like outbreak after a hard day’s work underwater. This long exhalation is not to be imitated with ease. The first thrill of meeting this photo collection lies there even before the actual encounter. The photographer had exhibition in 2010 and his art work has been added to Goeun Museum’s collection. For the Zomnye Collection titled “Dark though not Obscure, Sinking yet Immerging”, Uhwa, a print master exclusively concocted the print ink just for the printing of this collection.